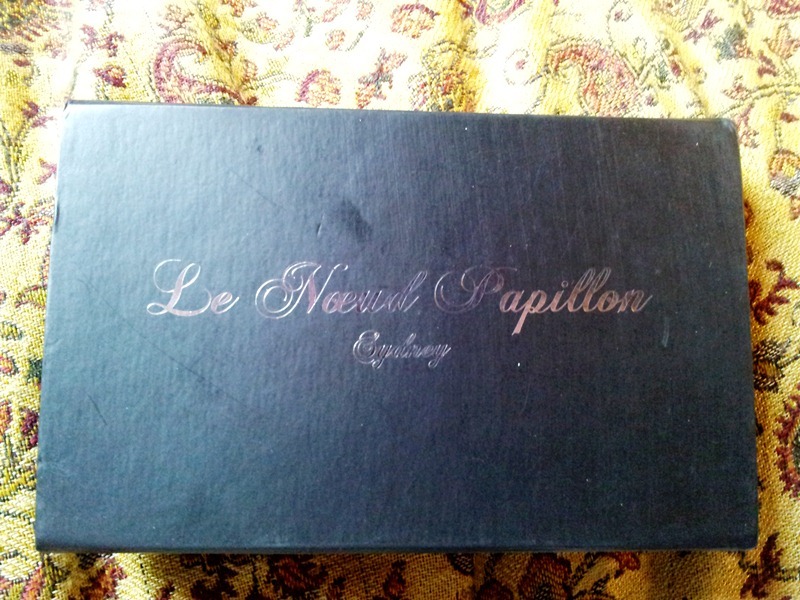 Not long ago a reader of the blog, who also happens to be the owner of Le Noeud Papillon, sent me a bow tie in gratitude of the blog, which I found to be very nice and rewarding! For me, it’s simply enough that people actually keep coming back to read more, let alone receive a gift for it, but nevertheless, here we are. 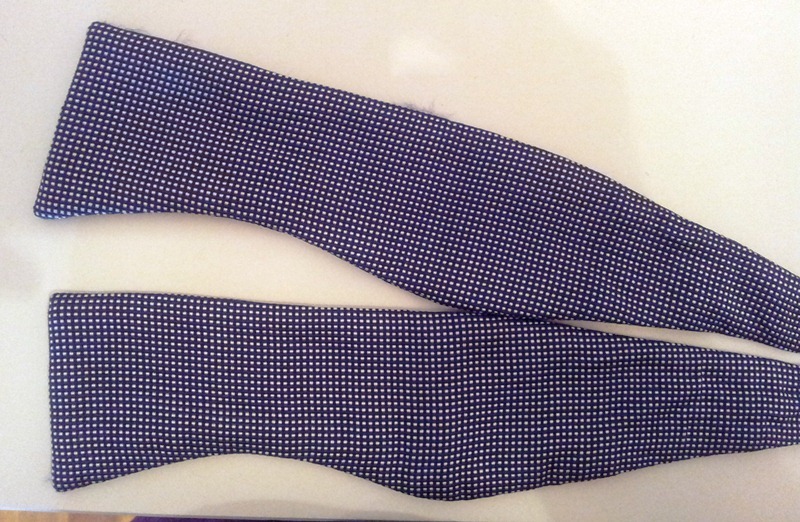 As most of you may know, I do like a nice bow tie and when receiving this one, I was quite pleasantly surprised. I don’t say this because I was expecting the worst, but because the tie was a lot cooler than I had imagined. The quality of it was really good (even though I am no expert on cloths) and I loved the way in which it knotted up. Certain bow ties can look a bit too stiff looking, a bit too pre-done, but the way in which this ties, makes it look very casual and relaxed. 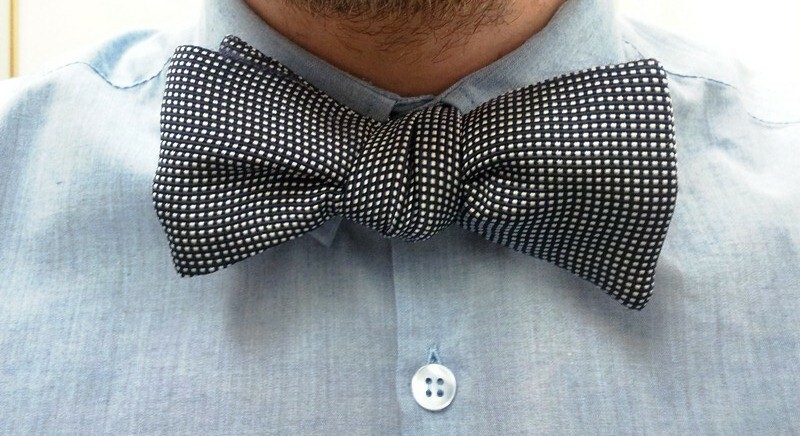 I liked that because I like to wear my bow ties on outfits that are a bit more casual than dressy. It was a lovely gift and I hope to get a lot of use out of it! To reader that sent it to me, thank you. And to everyone else, if you like a nice bow tie, may I recommend checking them out. Apart from black tie very occasionally, I’ve never worn a bow. This one’s a real beauty though – love the understated but original pattern. It’s also got a certain heft about it; a substantial quality. Looks fabulous; I’m not sure bows are for me, but this would tempt me to try! I have heard that most men who wear bow ties do so because most men don’t. Keep up your sartorial sprezzatura as they look good on you. A black belt might have worked better. I really do like those shoes Justin, by the way. Alex B – Glad that you like this one, I thought it to be quite nice myself! Snapper – Funny thing is that when I lived in the States, I used to hate them, but as I came to Europe and expanded my sartorial depths, I decided to give them a try and just enjoyed them. As long as someone isn’t trying to hard with them or looks stuffy, I just think that they can be quite fun. 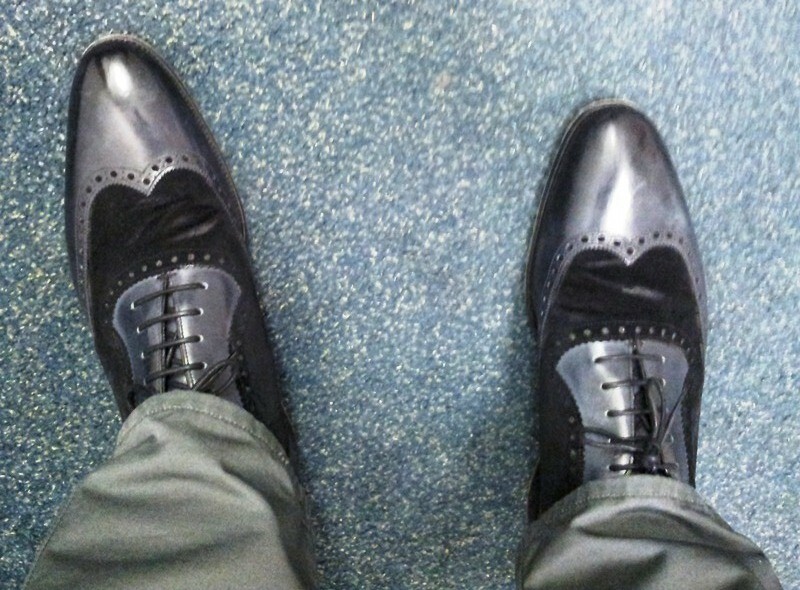 Haha..yes… the shape isn’t quite me, but I love the patina’d grey and the black suede, and that whole elegant semi-brogued spectator thing is something I always like. One comment: your shoes in general look too big for your frame. You need to wear a more slender style. 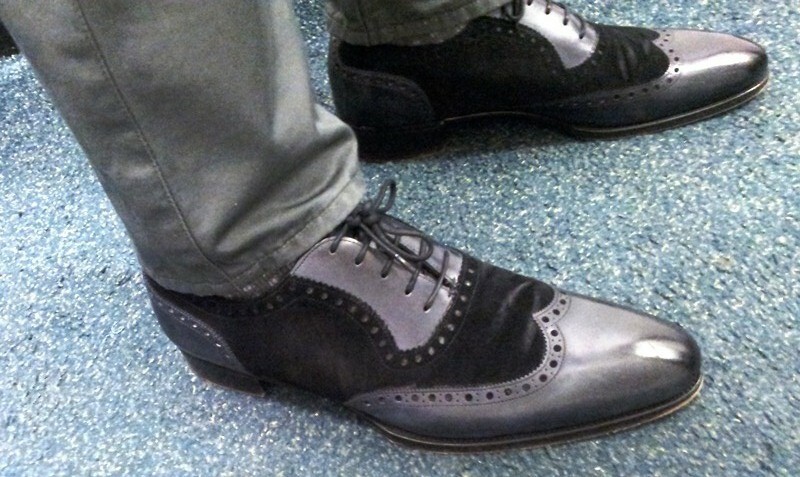 At present, in a lot of your pictures, your shoes look like John Lobb “blobs.”. Incidentally, I formerly bought some Lobb bespoke (from England, not France) that had the same effect. On slender people like us, you must keep the shape slim, especially when you wear a slim fitting trouser. Alex B – I am afraid that by the end of this you won’t like them anymore….they are actually what G&G call ‘midnight blue’ (the area that looks grey) and navy blue suede…Gray with black would be nice though! GSS – it’s a bit strange that you say that as all of my shoes are quite slim and slender, particularly these ones which are a ‘D’ width (narrow) on a last that is already slender and runs small. Maybe it’s the just the pictures….I hate bulbous shoes, and they look stupid on me…hence why I wear slim shoes…anything slimmer would be like a sliver…. Blue and blue? Really? You’re right it doesn’t come across, but that’s a fine combination too – I still like them! because Americans are slobs and they’re just catering to their market.